A Government TD has called on Football Association of Ireland chief executive John Delaney to step down. Fine Gael’s Noel Rock said Mr Delaney’s performance as the head of Irish football is not living up to his “Rolls Royce salary” and insisted he should resign from the €360,000 a year position. “We pay a Rolls Royce salary, €360,000 a year, for John Delaney. Do we get a Rolls Royce performance out of that? I’m not sure,” he added. 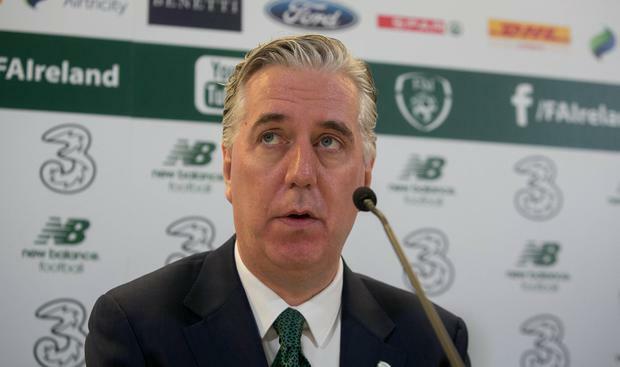 Mr Rock said there are “clear issues of governance, of competence and of finance” within the FAI after reports emerged about loan Mr Delaney paid to the Association. He claimed this issue was “overshadowing” the on field performance of the Irish football team.